Connor: He spotted "a backpack you can drink from!!!" at a sporting goods store a few days ago. When I told him dad had one at home he could use, he was pretty dang excited. 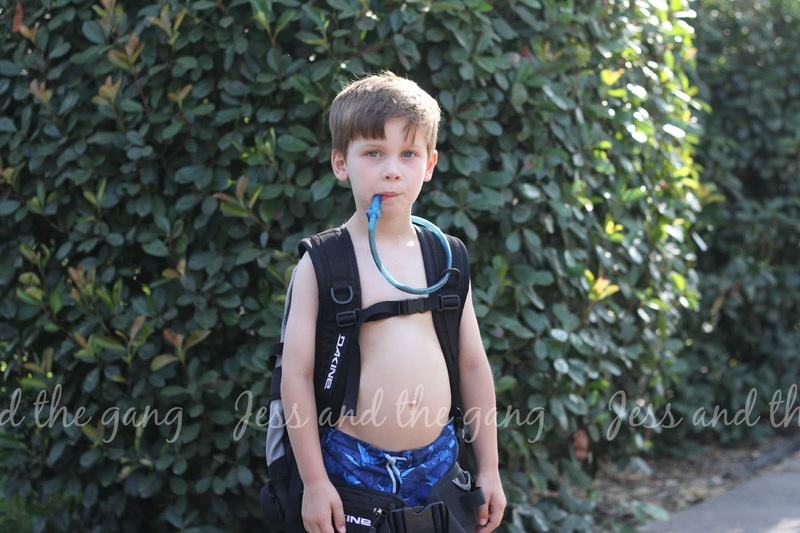 And he literally has worn it numerous times since…sometimes including a snowboard helmet and goggles, making him look like a little sky diver. Isla: Oh my late night owl. Why wouldn't you be making faces at yourself in the mirror of your jewelry box at 10pm?! With Connor starting back to school this week, we have been working on a better night routine again and Isla is starting to adapt and not stay up so late.